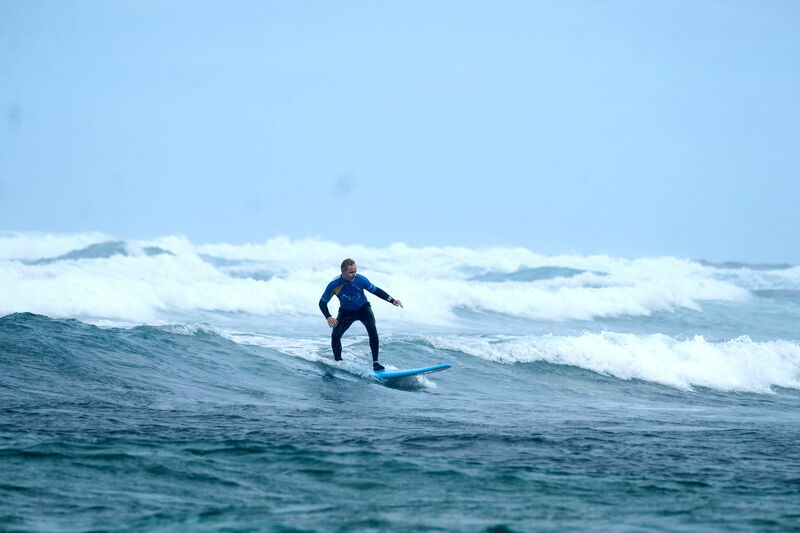 Our surf lessons in Vieux Boucau are taught by experienced and qualified surf instructors. Our instructors will ensure that you are both safe in the water and are able to progress your surfing level quickly. Not only are our instructors great surfers themselves, but they are also great teachers, with the knowledge and experience of instructing to help you get the most our of your time in the water in Vieux Boucau. We want you to feel safe in the water, and to be afforded the individual attention from your instructor that you require to improve. Thus, we teach with an absolute maximum of 8 students per instructor. Furthermore, we organise students into groups based on their ability levels so that students are with others of similar abilities. This ensures that students are not held back by others in their group, nor taken into conditions that they cannot safely handle. The result of all of this is that after your week’s surf class you will most often see a much greater improvement than you imagined at the start of the week. In our Vieux Boucau surf course programme, you’ll have 24 lessons (1 lesson = 45 minutes) over the course of the week. This is usually allocated by our team as 3 hours per day over 6 days but is somewhat flexible depending on the surf forecast. 18 hours of surf lessons over a week is more than what most other surf camps are offering. This greater number of hours of tuition that we provide really puts you at an advantage when you’re trying to improve your surfing. 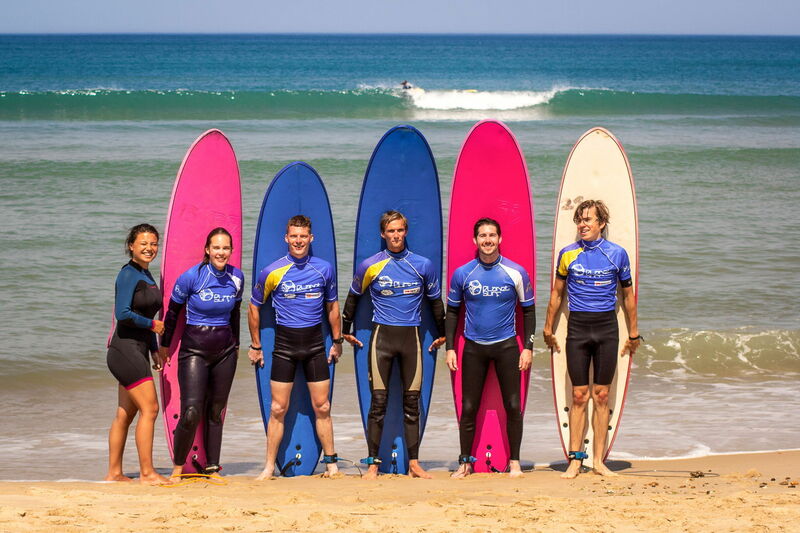 Never surfed before and want to experience the thrill of surfing in our Vieux Boucau surf camp this summer? Our main aims for you as a beginner surfer are for you to be having fun in the water and for you to get up and standing on the board. Whilst we’ll teach you the theoretical basis of surfing, and about surf etiquette, you’ll spend the vast majority of your lesson time in the water, so you can put it all into practise! We can’t wait to share in your excitement of standing up on a surfboard for the first time! 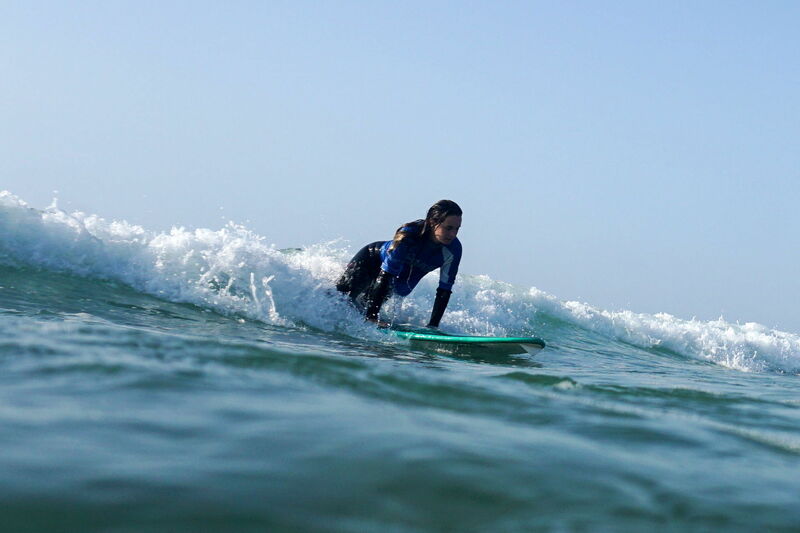 If it’s not your first-time surfing, and you are already familiar with the waves and a surfboard then our intermediate level surf course is for you! Our instructors will help you take your surfing to the next level and teach you how to surf green, unbroken waves. 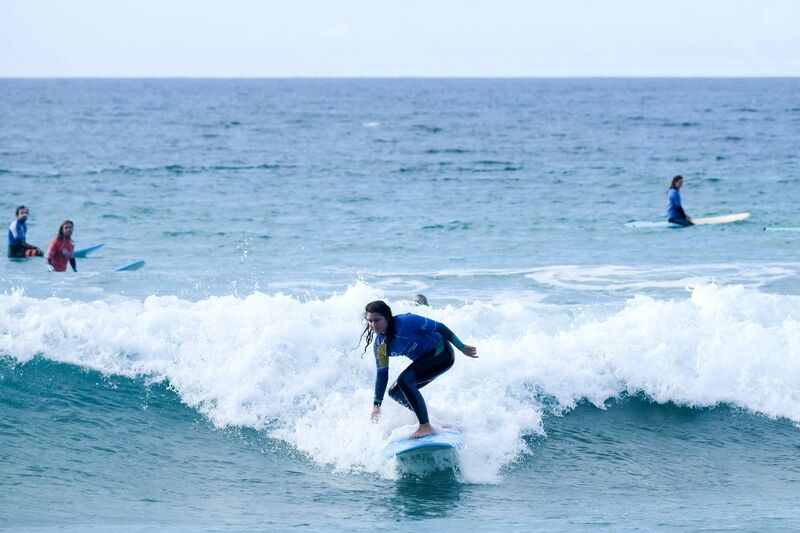 If you’re already comfortable surfing green waves of up to 1.5 m and want to learn turns and other manoeuvres you can take our advanced level surf lesson programme in Vieux Boucau. Given how great our surf instructors surf themselves, and how highly trained they are, no matter how advanced your surf level, our instructors have the knowledge and experience to help you progress further.